Once again, NATS and NOA are joining forces to present a combination workshop and conference, packed with exciting performances, masterclasses, informational sessions on a wide variety of topics related to the theme. NATS brings Juilliard School faculty member Margo Garrett to the workshop for a Collaborative Piano Summit in Three Sessions. The three sessions will include Donna Loewy and Elvia Puccinelli and will address several topics, including "Building a Collaborative Piano Program," "Developing a Curriculum for a Collaborative Piano Program," and "The Down and Dirty Guide to Playing Orchestral Reductions and Teaching Others to Play Them." Other NATS presenters include Julia Faulkner, director of vocal studies for The Patrick G. and Shirley W. Ryan Opera Center, Lyric Opera of Chicago. Faulkner will present two Saturday sessions, Teaching the Elite Singer, a Conversation with Julia Faulkner, and a master class, Coaching Singer and Pianist Teams in the Performance of Opera Arias, which she will present in collaboration with Margo Garrett from the Juilliard School. Attendees will also enjoy a presentation by Rena Sharon, Multi-Media in Art Song Performance: Breaking Traditions to Preserve a Global Legacy; and a performance of a newly created piece for two singers, trombone, and piano, directed by Gayle Shay. In addition, David Duncan will teach a master class: Stylistic Performance of the Great American Songbook. NOA will be honoring Martina Arroyo, who will also be the keynote speaker. The NOA Vocal Competition and Collegiate Opera Scenes Competition are yearly events. In addition, there will be a gala performance by distinguished African-American artists, and many sessions selected from submissions by both NOA and NATS members. We are now accepting applications for master class participants at the 2016 NATS Winter Workshop/NOA Convention in Indianapolis. If interested in applying to sing, please complete the Master Class Participant Application Form and submit by Dec 4, 2015 (submission instructions included in the application document). All sessions of this event will be held at the Conrad Hotel in downtown Indianapolis, which has been recognized as a "Top U.S. Hotel" byU.S. News & World Report. Located at the most prominent intersection in Indianapolis, this luxury hotel is only 20 minutes from Indianapolis International Airport. Select from 243 guest rooms and suites within its 23 stories. Explore the city without ever having to step outside; a skywalk conveniently connects the hotel to Circle Centre Mall, the Indiana Convention Center and hundreds of downtown restaurants and attractions. In the heart of the Wholesale District, Conrad Indianapolis is surrounded by Monument Circle, Indianapolis Symphony Orchestra, Circle Centre Mall and the Indiana Repertory Theater, just to name a few. Feel the high energy in the city during peak seasonal events such as the Indianapolis 500, NASCAR Brickyard 400, the Festival of Lights on Monument Circle and Big Ten football and basketball championship and tournament games. For quieter amusements, discover the Eiteljorg Museum, Indianapolis Museum of Contemporary Art or President Benjamin Harrison's home. Indulge in a game of golf at Heartland Crossing or Meridian Hills Country Club. Consult with the Concierge to discover favorite local restaurants, nightlife and attractions, including Lucas Oil Stadium (home of the Indianapolis Colts' football team) and Bankers Life Fieldhouse (home of the Indiana Pacers' basketball team). TripAdvisor included our luxury hotel in its Top 25 in 2010 and Expedia Insiders' Select voted the hotel to the Top U.S. position in 2009 and #3 Hotel Worldwide. From 2007-2011, guests consistently placed our property in the Top U.S. Mainland Hotels through Condé Nast Traveler's Readers' Choice Awards. Room Registration Deadline: Dec. 15, 2015. No self-parking is available; however there are more parking garages close to the hotel. Follow signs for Indianapolis/I-465/ I-70. Make slight left and merge onto I-70 East. Take exit 79B for McCarty St. Make slight left onto Madison Ave and continue onto Meridian St. Turn left on Washington Street, hotel will be on right. For more information about the Indianapolis International Airport, visit www.indianapolisairport.com. For more information about the city of Indianapolis, visit http://www.visitindy.com/. It’s just $10.00 one-way! Priority is given to online reservations. We strongly recommend you book a round trip reservation online so you won’t have to wait for the next bus! At the airport, Cash and Major Credit Cards are accepted but walkups may have to wait for the next shuttle. The Go Green Airport Shuttle is the express Indianapolis Airport shuttle serving Downtown Indianapolis. The express shuttle operates from 8:00 am to 11:00 pm 7 days a week; nonstop service and runs airport to downtown every 30 minutes. Passengers can board the shuttle at Zone 7 of the Airport’s Ground Transportation Center. Cash payments are NOT accepted by the driver, credit cards only. Please purchase your tickets in advance and make a reservation online to guarantee your scheduled time at www.goexpresstravel.com/indy_express. Those pre-registered get first opportunity to board. The Conrad Hotel will be stop number 8 when you get to Downtown Indianapolis. The shuttle will drop you off and then you will have to cross the street to enter the Conrad Hotel. The Great American Songbook Experience is a multifaceted exploration of the vibrant and timeless music from the Golden Age of American popular music. We’ll begin the experience with a visit to the acoustically perfect, Palladium Hall, where these classics are regularly performed through the Center’s Songbook Series. We’ll then wander up to the Songbook Gallery where staff will introduce us to “Gus Kahn: The Man Behind the Music”. This exhibit explores one of the most creative and prolific lyricists of the 20th century. If it’s an oldie, but a goodie, there’s a decent chance Gus Kahn might have penned the words. Once we’re done exploring the exhibit, we’ll get a sneak peek at the Great American Songbook Archives & Library, which houses artifacts such as sheet music, personal papers, recordings, and musical arrangements of the songwriters and performers who helped to create the music. The archivist will give us a behind the scenes look at this important collection and efforts at its preservation and transformation into a resource that is widely accessible to all. We will also hear about efforts to promote the Great American Songbook through the Great American Songbook Competition. This will be an experience that will expose you to this incredible resource for your teaching and performing. This tour includes transportation to and from the venue. Buses will begin loading promptly at 1:30 pm for a 2:00 pm departure. Group will return to the hotel at approximately 5:30 pm. For those arriving early in Indianapolis, there will be a Wednesday evening pre-convention dinner from 6:30 pm to 10:00 pm right in the spectacular Conrad Hotel glass-domed Artsgarden. The first ever NOA Convention open-mic session follows the dinner, with NOA and NATS members joining in the singing. Indianapolis-based Great American Songbook pianist David Duncan will be our accompanist for the evening. Bring your music and join in the fun! Reservations are required for this dinner. 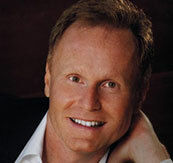 DAVID DUNCAN enjoys a rewarding career as pianist, organist, conductor and choral arranger. His experience and extensive musical background have made him one of the most sought after musicians in the Indianapolis area. He holds Bachelor and Master of Music Degrees in Piano Performance from the Indiana University School of Music where he was fortunate to study under gifted teachers who nurtured and supported his love and interest in a wide range of musical styles and genres. He has served on the faculties of both Taylor and Anderson Universities, serving as conductor and arranger for both men’s and women’s choral ensembles and teacher of classes in classical and jazz piano, improvisation and choral arranging. David is passionate about working with high school students to further their love and appreciation of music and the arts. He has worked closely with the Indianapolis Cabaret Theatre at the Columbia Club, accompanying the Cabaret Conservatory Master Classes given by current Broadway artists. In addition, David is the staff accompanist and choral arranger at Franklin Central High School in Indianapolis. Internationally renowned as a master teacher, JULIA FAULKNER has firmly established herself as one of the top voice teachers in the world. Her students are performing globally at the Metropolitan Opera, La Scala, Vienna State Opera, Bavarian State Opera, and Lyric Opera of Chicago, among others. Faulkner was recently appointed Director of Vocal studies for The Patrick G. and Shirley W. Ryan Opera Center, Lyric Opera of Chicago's renowned professional artist-development program. Previously a professor of voice at the University of Wisconsin-Madison for ten years, she has been teaching the Ryan Opera Center singers since August 2013. Julia Faulkner has had a distinguished international singing career with performances on many of the world’s great opera and concert stages. She made her Metropolitan Opera debut in the title role of Strauss’ Arabella in 1994 and sang major roles for many years at the Bavarian and Vienna State Operas. She has been celebrated in the roles of the Marschallin, Arabella, Countess, Fiordilidgi, Ariadne, and Capriccio Gräfin to name a few. A devoted teacher, Ms. Garrett headed the newly created Collaborative Piano Department at The Juilliard School from 1985 – 1991 at which time she became the first holder of the Ethel Alice Hitchcock Chair in Accompanying and Vocal Coaching at the University of Minnesota’s School of Music, the first privately endowed collaborative chair in the US. 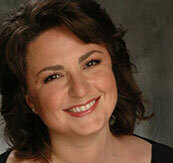 In 2000, she returned to and remains a member of The Juilliard School’s Collaborative Piano faculty. Ms. Garrett directed the Tanglewood Music Center vocal fellowship program for the last 6 of her 19 years of teaching there (1979-1997), was awarded the 1989 American Society of Composers and Publishers (ASCAP) Most Creative Programming Award and, from 1999 through 2006, was Faculty Chair of The Steans Institute for Young Artist’s vocal and chamber music programs at Chicago Symphony’s Ravinia Festival. 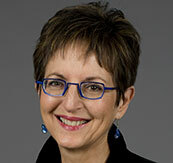 Recent seasons have found Ms. Garrett in residence at the Hochschule für Musik in Munich, a judge at the 15th International Schumann Vocal Competition (2008) in Zwickau, Germany, the Gina Bachauer International Piano Competition and Joy in Singing, both in New York, in residence at Vancouver International Song Institute, Taiwan Normal Teacher’s University, The Music Academy of the West, at the Internationale Meistersinger Akademie in Neumarkt, Germany and at The Mannes School. Ms. Garrett’s latest recording, the songs and vocal chamber music of Philip Lasser, for Delos and with sopranos Elizabeth Futral and Susanna Phillips, was released in early 2013. DONNA HALLEN LOEWY is Field Service Professor of Collaborative Piano and Accompanist-in-Residence at the College-Conservatory of Music in Cincinnati, Ohio. A "superlative accompanist" (Virginia Gazette), Ms. Loewy has been the official pianist for the Metropolitan Opera Auditions in southern Ohio, the International Clarinet Conference, Congress of Strings, International Double Reed Society, Yamaha Young Performing Artists Winners Recitals, Tubamania (Sydney, Australia) and International Tuba and Euphonium Conference. 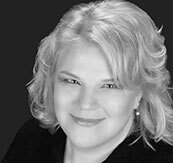 She has worked as an opera coach with the Israel Vocal Arts Institute, Opera Theatre and Music Festival of Lucca (Italy), International Institute of Vocal Arts (Italy), and Cincinnati Opera. Ms. Loewy prepared and accompanied many top prize winners of the NFMC Young Artist Competition and NATS Artist Awards, as well as Marilyn Horne Foundation sponsored recitals and residencies throughout the country. She has also been on the faculty of SongFest, Pianist-in-Residence at New Music on the Point and the Barcelona Festival of Song. 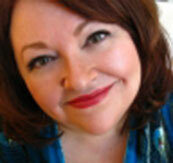 Loewy is the voice consultant and co-author of the Inner Game of Music Vocal Workbook, written with Barry Green. Her CD with baritone Andrew Garland, On The Other Shore, featuring the folk song settings of Steven Mark Kohn, on Azica Records, has met with great critical acclaim. American Portraits, a much-celebrated new CD with Mr. Garland, on GPR Records, features music of Tom Cipullo, Jake Heggie, Lori Laitman, and Stephen Paulus. Pianist ELVIA PUCCINELLI is Associate Professor of Vocal Coaching and Collaborative Piano at the University of North Texas, where she has served since 2004, having held previous appointments with the University of Southern California and Baylor University. Twice invited to serve as rehearsal pianist for Seiji Ozawa, Elvia is currently in her twelfth year on faculty with the renowned OperaWorks program. Elvia has appeared in song and chamber music recitals at such diverse performance events as the Los Angeles Philharmonic's Chamber Concert Series, Placido Domingo's Operalia Competition, the International Trumpet Guild Conference, and the National Opera Association Competition. A published author on topics of song literature and collaborative piano, Elvia earned both MM and DMA from the University of Southern California and holds a degree in French. She has served as language consultant for Martha Gerhart’s acclaimed series Italian Song Texts from the 17th through the 20th Centuries. RENA SHARON is the Professor of Collaborative Piano Studies at the University of British Columbia, where she is an Associate at the Peter Wall Institute for Advanced Studies and a recipient of the UBC Dean of Arts award for research, teaching, and community outreach. Born in Montreal, Canada, she began her life in chamber music at the age of eight as a student of Professor Dorothy Morton. Principal teachers at Indiana University were Menahem Pressler and Gyorgy Sebok. Winner of the Best Pianist award at the Rio de Janeiro International Voice Competition, she was cited by Jerome Hines as "a national treasure", and has been called “one of the finest musicians of her generation. “ She has performed in recital with many world-renowned artists including tenors Ben Heppner and Richard Margison, and instrumentalists Steven Isserlis, Gary Hoffman, and James Ehnes. Her recordings can be found on the Marquis, Finlandia, Atma, CBC-5000, Sono, and Summit labels. As a passionate advocate for the sustainable future of the Art Song performance, Sharon has pioneered initiatives to build a broader audience for its fusion of global poetry and music. In collaboration with soprano Ingrid Suderman, Founding Executive Director, and a core team of renowned performing and creative artists, directors, researchers, and scholars, she co-founded the Vancouver International Song Institute (VISI) in 2006, presiding as Artistic Director until 2013. VISI has functioned as a 3-week annual nexus for groundbreaking interdisciplinary and multi-media Art Song training, performance, research, and audience engagement. Since 1994 Sharon has catalyzed training, creation, and production of blended media recitals in traditional and alternative venues and numerous multi-media Art Song projects. With Gayle Shay, (Professor of Opera Vanderbilt University) and collaborative partners David Walsh, (Professor of Opera U. of Minnesota), Alan Corbishley (stage director/baritone), Benjamin Butterfield (Professor of Voice and Opera, University of Victoria), Phoebe MacRae (soprano, playwright), David Maggs (Post-Doc, UBC), faculty from the UBC Department of Theatre and Film, and many others she created VISI’s “Theatre of Art Song” and “Songfire Theatre Apprenticeship” programs as well as the professional Songfire Theatre Alliance. 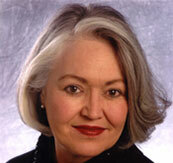 GAYLE SHAY, mezzo soprano, and Associate Professor of Voice and Director of Vanderbilt Opera Theatre at Vanderbilt University in Nashville, Tennessee has performed throughout the United States and Canada in theatre, musical theater, opera and oratorio including productions with the Washington (DC) Opera, the Maryland Handel Festival, the Des Moines Metro Opera Guild, OpenStage Theater (Fort Collins, CO), Colorado Lyric Theater, and Nautilus New Music Theatre Company (Minneapolis). Professional stage direction and production credits include those with Wolf Trapp Opera, Maryland Opera Studio, Opera/Omaha, Des Moines Drama Workshop, Dorian Opera Theatre, Colorado Children's Opera Theatre, New England Light Opera, Icicle Creek Young Artist Program, Nashville Opera, and Variations Musical Theatre (Des Moines, IA). 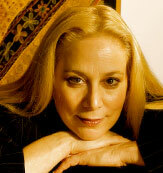 Dr. Shay has appeared regularly on the Songfest Art Song Concert Series in Malibu, CA working with composers John Harbison and Jake Heggie, and pianists Martin Katz and Graham Johnson, and she has been a member of the International Voice Workshop at the Canadian Banff Centre for the Arts under the direction of Richard Armstrong. She has also been a featured performer at the Vancouver International Song Institute (VISI) since its founding year, and is the co-director of VISI’s innovative SONGFIRE Art Song Theatre Apprenticeship. Additionally, Dr. Shay (along with her writing partner, Brenda Sparks) has written and produced five original, fully-scripted and staged, Art Song Theatre works (That Way Goes the Game, Seaworthy, Once, Babylon, We Are Still Young, Can You Hear Me?) three of which were premiered at VISI in 2011, 2012, and 2013. She will direct a revival production of Seaworthy as part of the Society for Music Perception and Cognition International Conference in August 2015. Active member of both NATS and NOA. Opening Luncheon – January 7, 2016: 11:45 am – 1:30 pm – one ticket per full registration. Welcome Reception – January 7, 2016: 9:00 – 11:00 pm – one ticket per full registration. 20th Anniversary Legacy Banquet – January 9, 2016: 6:30 – 10:00 pm – one ticket per full registration. Online Registration Deadline: Dec. 15, 2015. 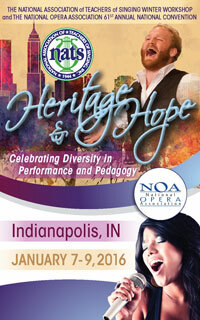 After this date, on-site registration is available at the Conrad Indianapolis Hotel. Cancellation requests for registration will be honored through December 1, 2015. The NATS Executive Office must be notified of your intention to cancel in writing at the following address: 9957 Moorings Drive, Suite 401, Jacksonville, FL 32257, or by email (info@nats.org). Notice may also be sent by fax to 904-262-2587. Cancellations are not accepted by phone, as they must be in writing. All refunds are subject to an administrative fee of $25.00 USD. Refunds cannot be applied to subsequent workshops or conferences and will be issued after the event has concluded. Refund and cancellation deadline is Dec. 1, 2015.